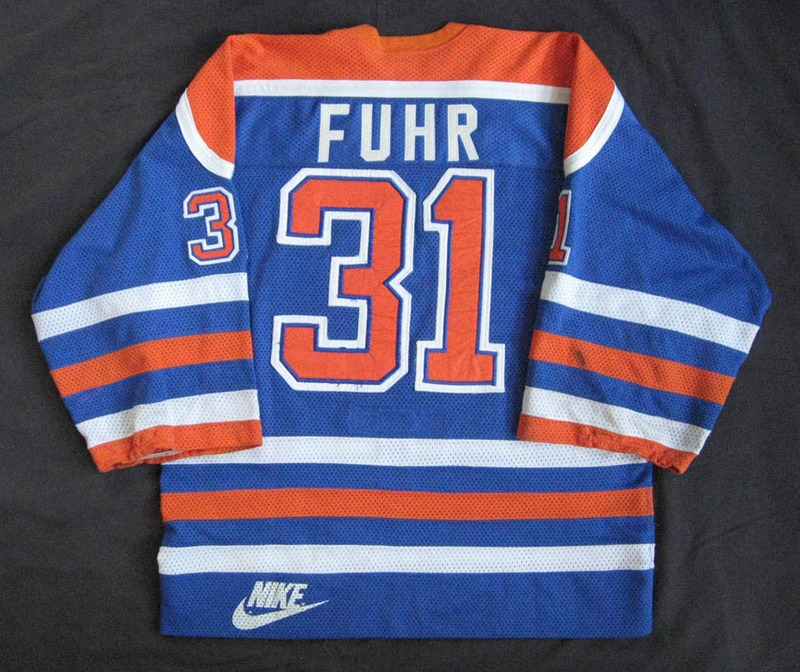 This jersey was worn by Hockey Hall of Fame goaltender, Grant Fuhr of the NHL Edmonton Oilers during their first Stanley Cup Championship of 1984. 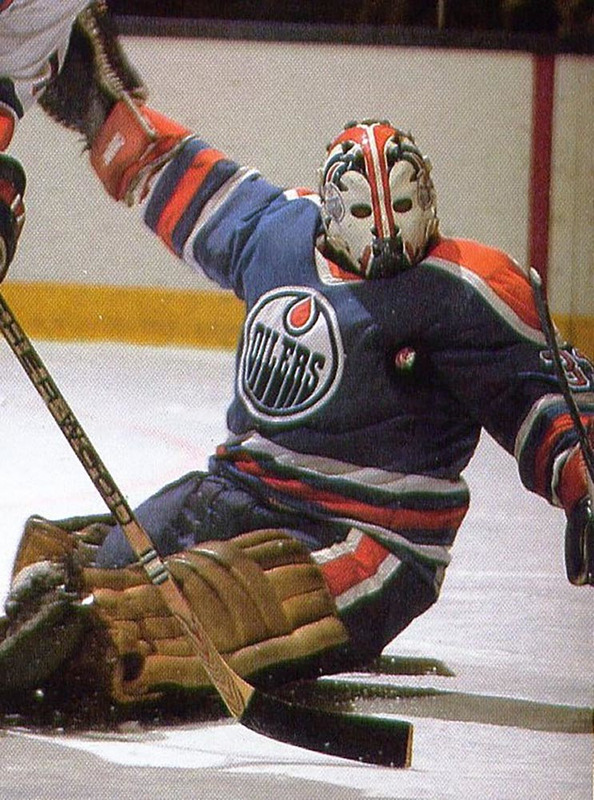 Grant Fuhr would wear this jersey in one of the most outstanding performances of his legendary career. On May 10, 1984 the Oilers went into Nassau County Coliseum for game one to face the four time Stanley Cup Champion, New York Islanders. It was here that Grant Fuhr turned in a performance for the ages in a 1-0 shut out of the Islanders and the Oilers were off and running to a 4 games to 1 victory and their first Stanley Cup Championship. This jersey was worn by Grant Fuhr in that very important game one shut out of the Islanders and his performance has been captured on video which is an shining reminder of how goaltending used to be played when goalies had very little in the way of protection under their jerseys and as leg pads. The acrobatic nature of Fuhr’s saves is a sight to behold. His quick reflex saves are a joy to watch in comparison to the robotic butterfly style played by all goalies today. Fuhr would wear this jersey in the game two 6-1 loss and then was injured in game three at home, giving way to Andy Moog to finish the series at home in the white jerseys. 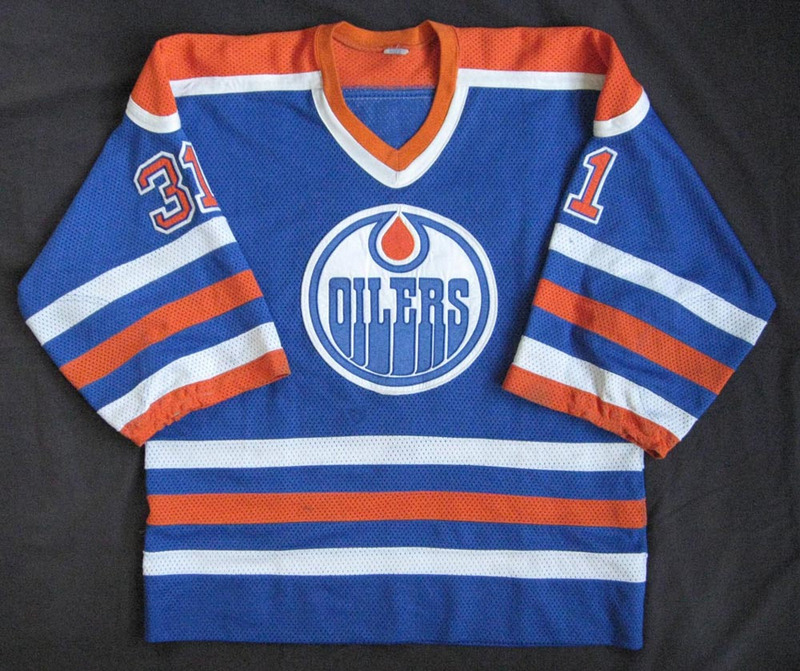 This is the only and first blue Stanley Cup Championship jersey worn by an Oiler goaltender. The jersey is photo and video matched many times in the 1984 Stanley Cup final to the black mark on the inside of his right catching arm. 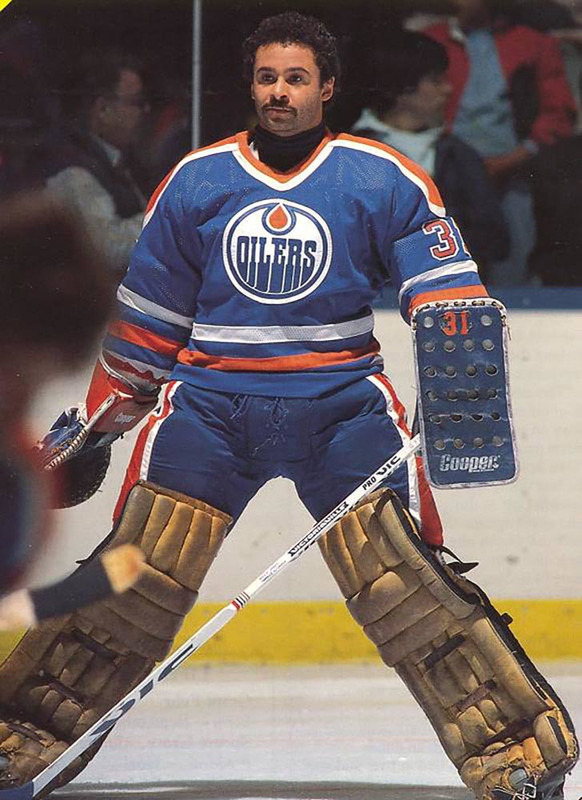 The jersey appears to also have been worn at the start of the following regular season by Fuhr as indicated by the photo matched black mark while he is wearing a new set of pads to start the season. We are proud to present this important piece of Oiler history as part of the Edmonton Oilers Exhibit in the Canadian National Hockey Museum.